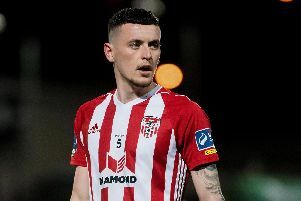 Derry City centre-back Ally Gilchrist produced a super display, at Turner's Cross. The former Shamrock Rovers man, who was rock solid alongside Eoin Goal, admitted they deserved at least a share of spoils at title contenders Cork City. Gilchrist also confirmed that boss Declan Devine and his back room team have got all the squad giving their all for the cause.